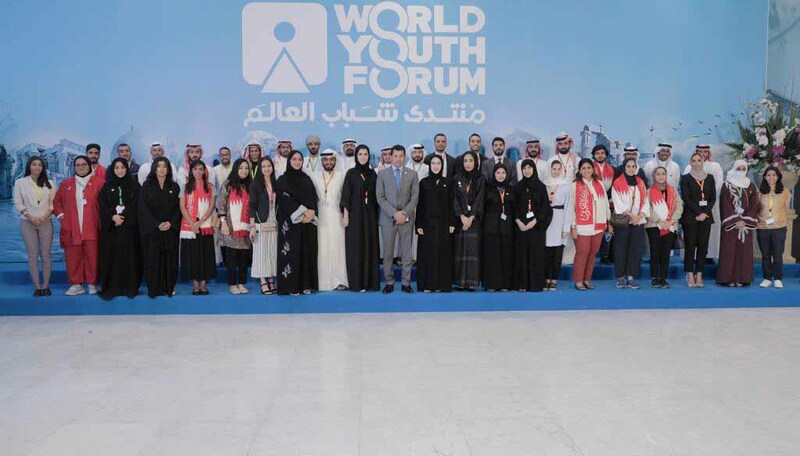 CAIRO, 7th November, 2018 (WAM) -- Shamma bint Suhail Faris Al Mazrui, Minister of State for Youth Affairs, has met with Egypt's Youth and Sports Minister, Ashraf Sobhy, on the sidelines of the World Youth Forum being held in Sharm El Sheikh under the patronage of the Egyptian President Abdel Fattah el-Sisi. They discussed the existing ties between the UAE and Egypt in the youth and sports sectors and the most important programmes to be held in the coming period between the two countries. They also exchanged expertise in the youth and sports fields in the light of the strong relations between the two fraternal countries in various fields. Dr. Sobhy hailed the constructive cooperation with the UAE in the prominent sports programmes and events. He also emphasised the strong relations between the two countries and desire to achieve the highest levels of cooperation between the two countries in various fields including the sports and sports scenes.